Tic Tak Tow…. 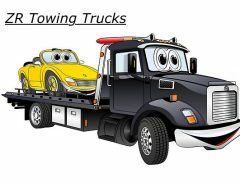 I’m talking about an awesome tow truck driver not the game. If you’re in a crisis, call up This Tic Tak character and he is sure to treat you good and your vehicle even better. This Guy is amazing. He could jump start his car with the power of his mind. He can change a tire with one hand, while lifting your vehicle with the other. You definitely want to see him sweat so give him the hardest job possible and maybe he will flinch………but probably not. Hands down this guy is one of the best when it comes to towing Avi “tictak” is truly the best. So if you’re ever in an jam this the man. Call Us Today (818) 514-0233 and Avi will be on his way !